This salad was invented to save the inn from fights and damages from drunk people after the revolution. In 1918 chef Aristarkh Prokoptcev introduced this salad calling it symbolically B.A.C.D., which meant “Boycott and Anathema to Chauvinism and Decadence”. This abbreviation is Russian sounded as “shuba” – furcoat, and this name become so close to public. 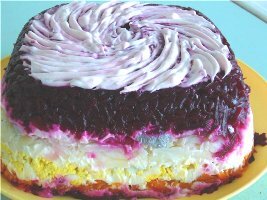 The red color of the beets in this salad symbolized the red flag of the revolution, and the herring and potatoes were a classical proletarian snack. Visitors ordered a new salad, supposedly were drinking less, did not fight and were happy. Would you like to taste something from a Tzar's table? This is one of the most favorite delicacies – crunchy and juicy with golden color cutlets, so yummy. 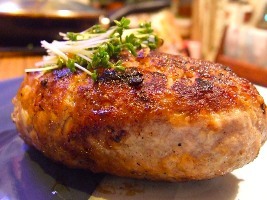 This dish is also world-famous as this recipe was printed in gastronomy books. Pushkin also wrote about them “Dine in Pozharsky inn in Torzhok with fried cutlets and then go away glad and easy”.